Gable braces are made to your specs. Includes vertical king post, cross beam, diagonal supports, Call or email us for pricing. 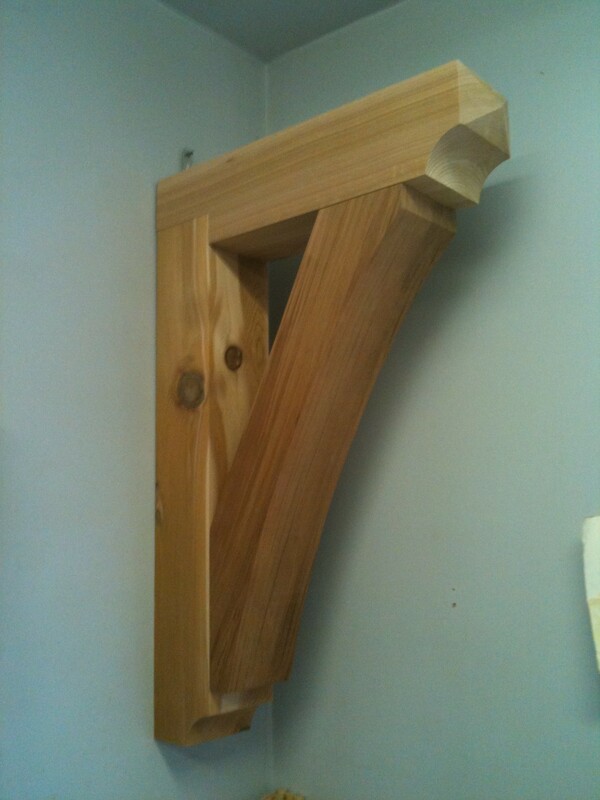 Custom Gable Brace made to your specs. Mortise and tenon joints. 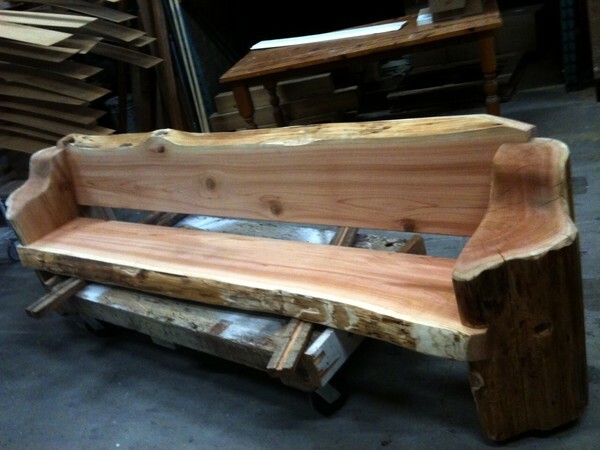 Custom benches western red cedar with live edge on slabs and half log ends made up to 8' long. Custom brace to your size Contact us for quote.